On the day of our first wedding anniversary, our good friends Farah and Lee brought us to one of New Orleans’ most renowned restaurants for a unique experience: Jazz Brunch. 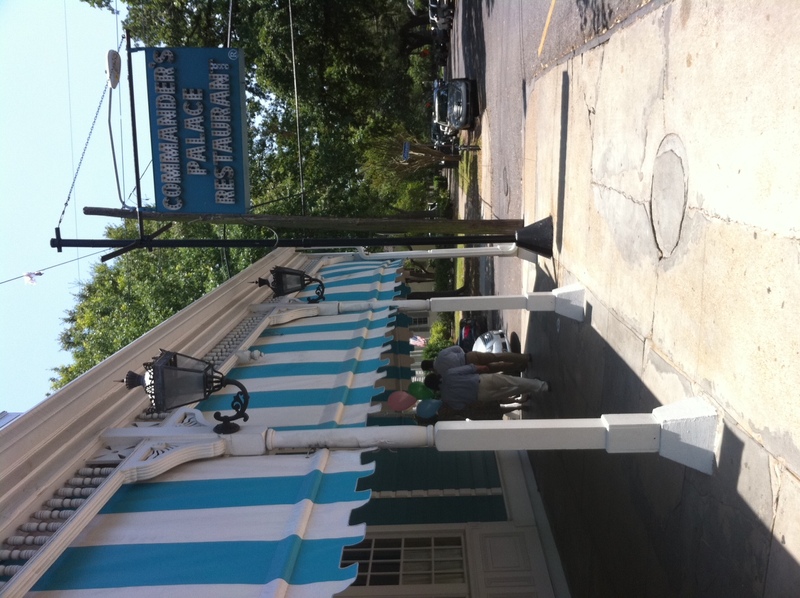 Commander’s Palace is an institution, voted most popular restaurant by the Zagat guide in 2009. We were escorted to our table by a suited gentleman. We walked through the busy kitchen and by the smell of it, I knew we were in for a delicious treat. The menu was pure decadence. After a quick read, I was completely overwhelmed by the sheer amount of dishes I wanted to try out: Oysters, crabs, cheviche. For appetizers, I decided to go with the quintessential New Orleans treat—and the recommendation of the cordial, animated staff. Oyster & Absinthe “Dome” – Plump P&J oysters poached with bacon, artichokes, Absinthe and a splash of double cream ~ Presented under a flaky pastry shell. When Farah’s appetizer reached the table, I was jealous. 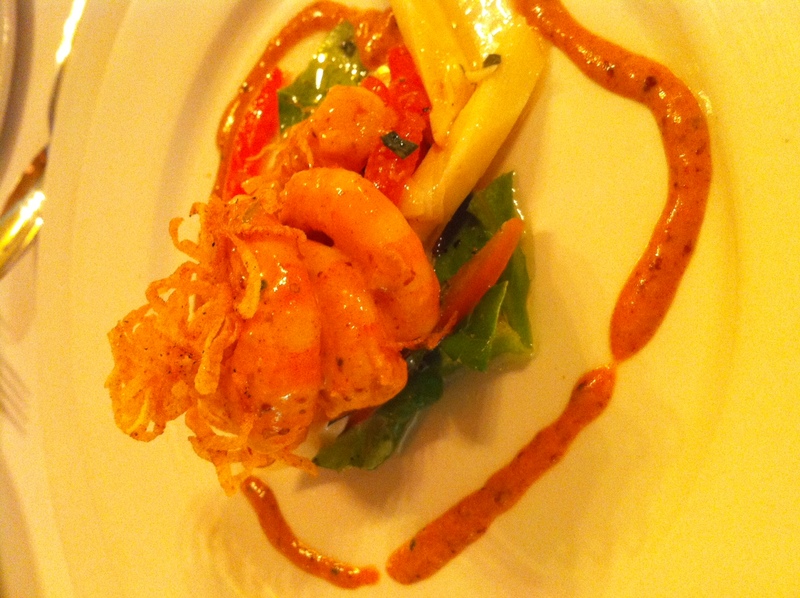 The shrimps were fresh and spicy, the texture of the remoulade was perfect. Wild Shrimp Remoulade “Moderne” – Spicy boiled shrimp with Tabasco mousse, crispy brix, Creole remoulade and salt cured lemon zest. Before we dove into each entrée, the meal took a musical turn. As per tradition, a jazz band goes around the restaurant’s various rooms and plays jazzy tunes. At time, the players invite the customers to join in the fun and that’s exactly what happened to me. 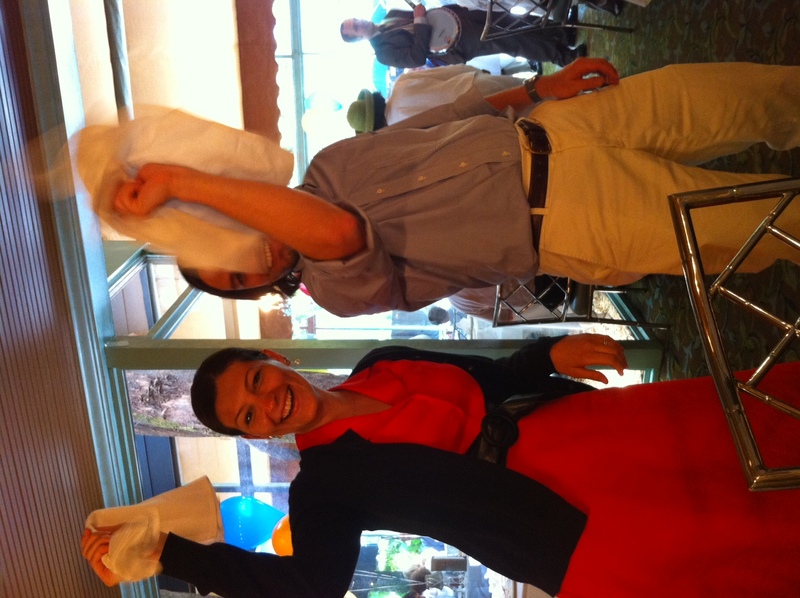 The band came around and I found myself dancing, with my napkin in the air, around the room with Lee. 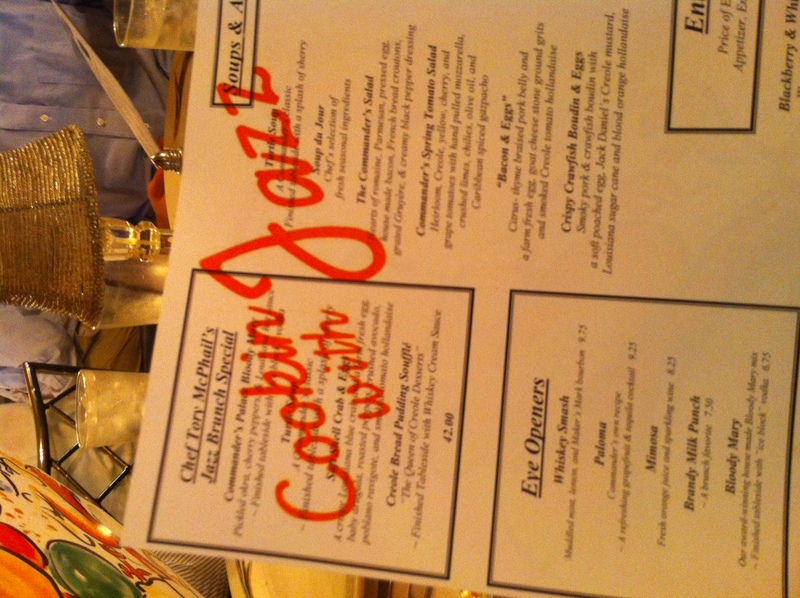 It’s called Jazz Brunch for a reason! (Yes, that’s me with my friend Lee). Picking an entrée was like choosing the perfect pair of shoes: You wanted the make the smartest decision. 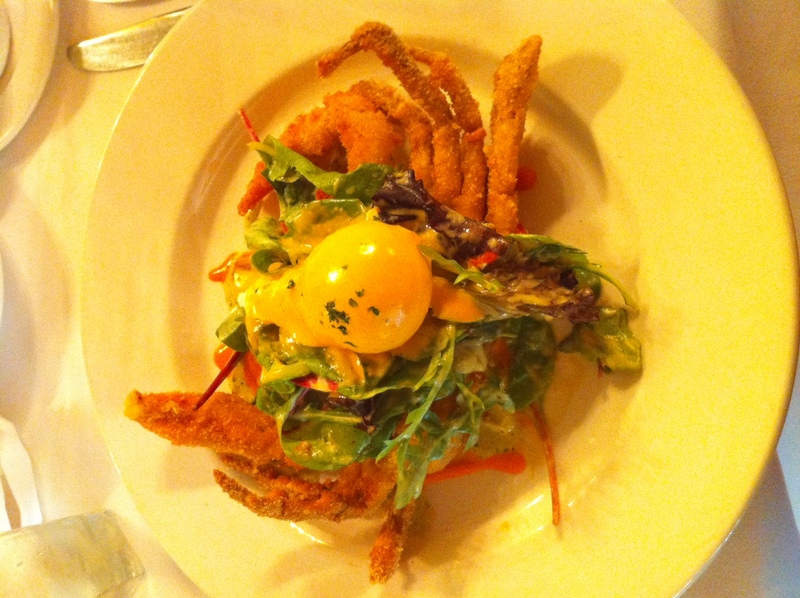 Being in New Orleans, I decided to order something that I would not so easily find in Virginia, so I went with a soft shell blue crab, fried, on a bed of greens with a poached egg smothered with Hollandaise sauce. The crab was perfectly married with the sweet and tangy Hollandaise. I had never had a whole fried crab before. It didn’t taste like anything I have ever eaten before and the more I think about it, the more I’d love to eat it again and again. Farah also picked fish: Griddle Seared Gulf Fish – Butter roasted artichokes, asparagus, pequillo peppers, grilled eggplant and tiny tomatoes with brûléed citrus & lemon-thyme vinaigrette. Francesco went with the only non-fish dish on the menu: A beautiful beef filet adorned with a poached egg and a myriad of extraordinary sauces. 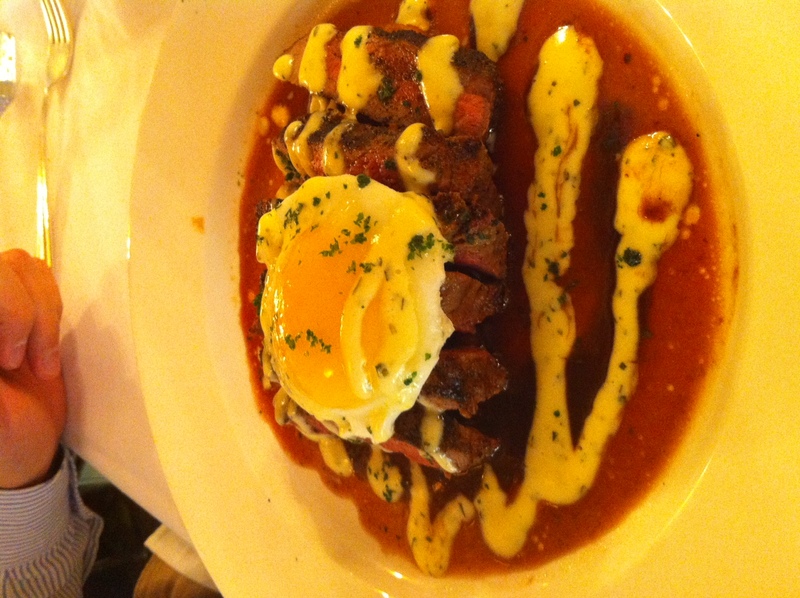 The meat was so tender, it blended with the smooth texture of the egg and accompanied white sauce. As if this wasn’t enough, we still had dessert. 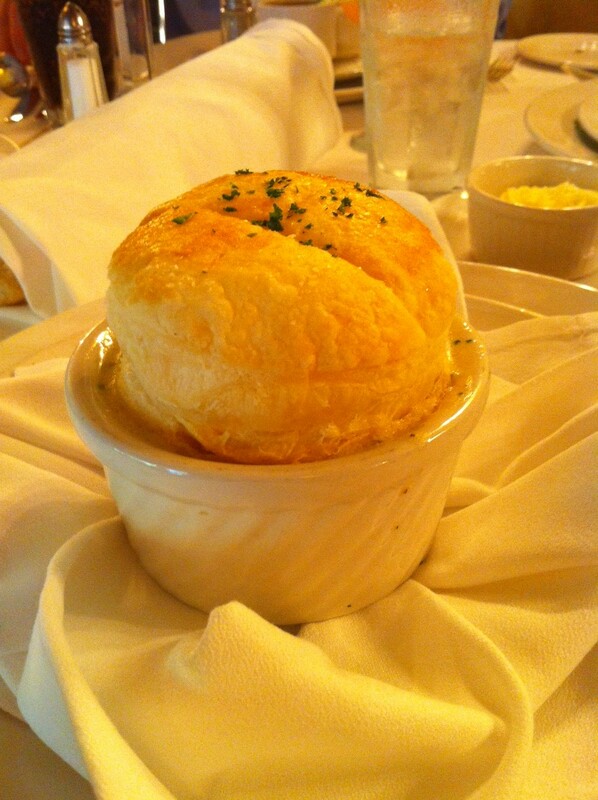 Commander’s Palace, it turns out, is known for its bread pudding souffle. 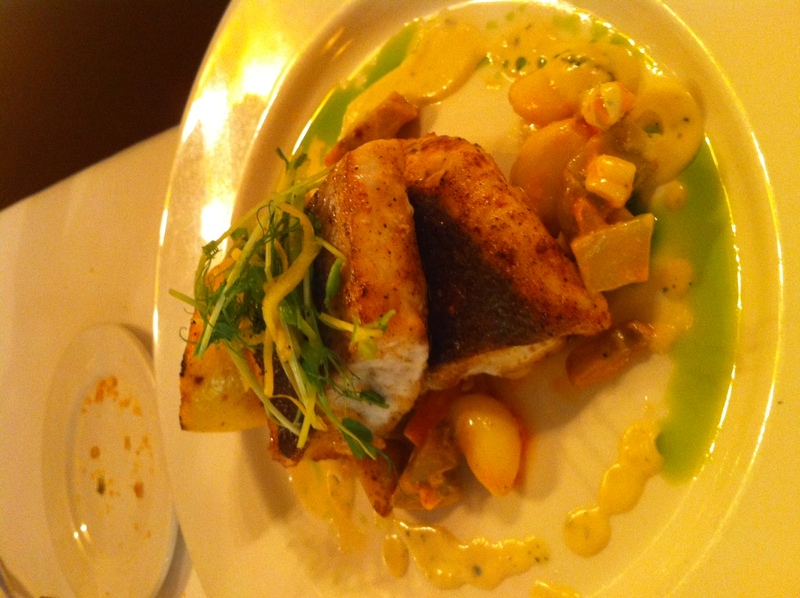 Farah recommended it, we listened and agreed: It was insanely good. 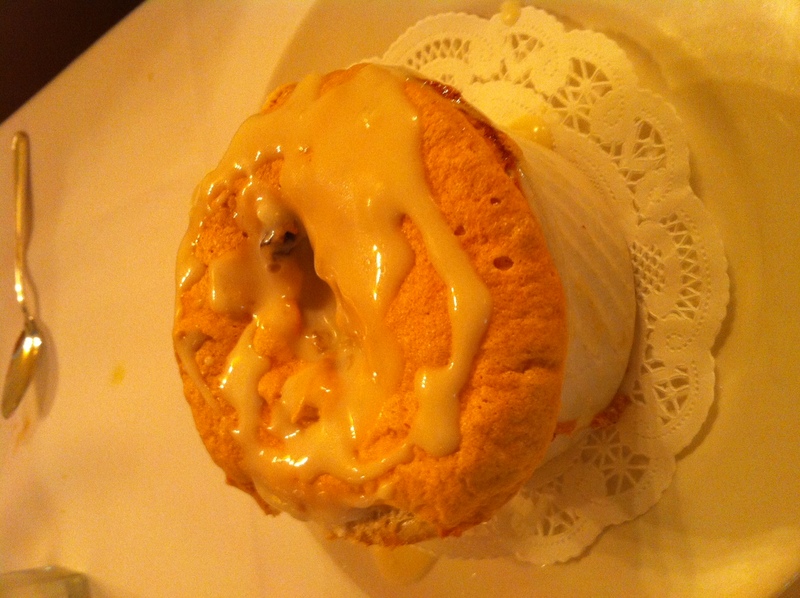 The pudding was rich and velvety and the occasional raising gave it an unexpected crunch. Yet, the star of the dish, according to Francesco, was the luxurious whiskey cream—which was carefully served at the table, when the souffle was still warm. 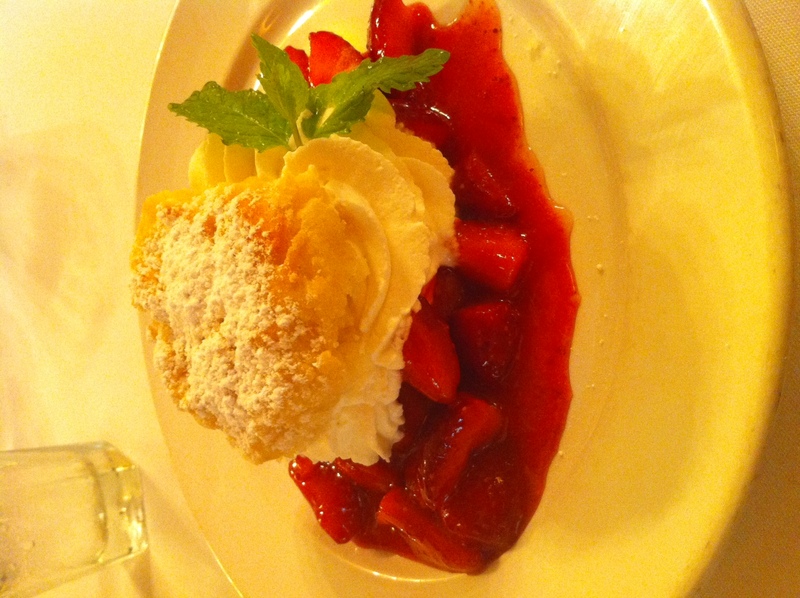 In order to try another specialty, I picked something reminiscent of an American classic—strawberry shortcake with local strawberries and handmade whipped cream. The cake was soft, moist. The whipped cream was light and with a hint of vanilla. The strawberry syrup was rich, but not too sweet. This was most likely the richest and most satisfying meal of my life. 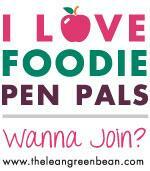 Great food is hard to come by, and good friends are even harder. Farah, Lee and the carefully prepared food made our first anniversary simply unforgettable.